“Dying Well” or scare tactics? 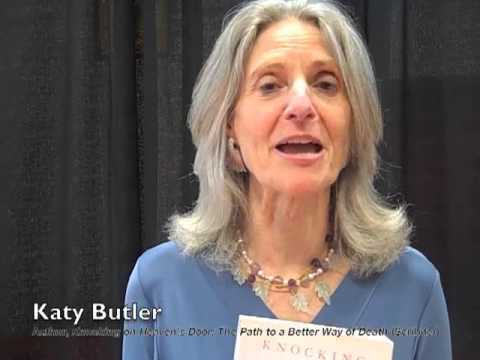 However, I recognized her name from reading her 2014 interview with Compassion and Choices, the well-funded former Hemlock Society that promotes physician-assisted suicide. In this instance, note that the friends–apparently not the family or a “living will”– lobbied the doctor to remove (not try to wean off) the ventilator. I am not surprised since I have personally heard some doctors say that, if in doubt, it might be legally safer not to treat rather than treat a patient because of the risk of a future lawsuit. These kinds of articles and books are being used as “end-of-life education” for both the public and professionals. Can this be dangerous? CAN WHAT YOU SAY POTENTIALLY BE USED AGAINST YOU? My own mother often told me “I never want to be a burden on you children.” Then she developed Alzheimer’s and a terminal thyroid cancer. I was asked if the family wanted her fed if she got worse. “Of course, if she needs it”, I responded. My mother should die from her condition, not from starvation and dehydration. I never told the doctors her comment about not wanting to be a burden because she wasn’t a burden. Mom died shortly after she went to a nursing home for safety reasons and we spoon-fed her at the end. She had no pain, thanks to a short course of radiation and chemo that she tolerated. My last memory of my mother was her smiling and enjoying the attention of her family before she died in her sleep. In 1990, 2 years after my mother’s death, Nancy Cruzan died after 12 long days without a feeding tube, even after the U.S. Supreme Court ruled that Missouri could require “clear and convincing evidence” that she would not want a feeding tube if she was in a “vegetative state.” At the time of the decision, there was no evidence of this. “…increasingly it will be our collective determination as to what lives are worth living that will decide how incompetent patients are treated. We need to begin to articulate and justify these collective determinations.” The American Journal of Medicine January 1993 Volume 94 p. 115. As a hospice and critical care nurse, I strove to make sure dying patients and their families had a good death, either in a hospital or other institution or at home. Personally, my husband and I also made a careful durable power of attorney document that only designates each other as our decision maker with the right to make decisions about our care rather than signing a “living will” to refuse potential future treatments or set possible future conditions like dementia where we would want treatment stopped or withheld. Instead, we want all current options, risks and benefits of treatment fully explained to the decision maker based on the current condition. I also encourage people to check out information sites like the Healthcare Advocacy and Leadership organization (I am an advisor) and magazines like “Informed-A Guide for Critical Medical Decisions” which has sections explaining ventilators, CPR (cardiopulmonary resuscitation), feeding tubes, use and misuse of opioids and sedatives as well as other end of life considerations. Death is a journey we all will take someday. Especially in today’s world, we should protect ourselves and our loved ones by trying to ensure a truly good death. Editor’s note. This appears on Nancy’s blog and is reposted with permission. Quebec man found guilty of manslaughter in the death of his wife.